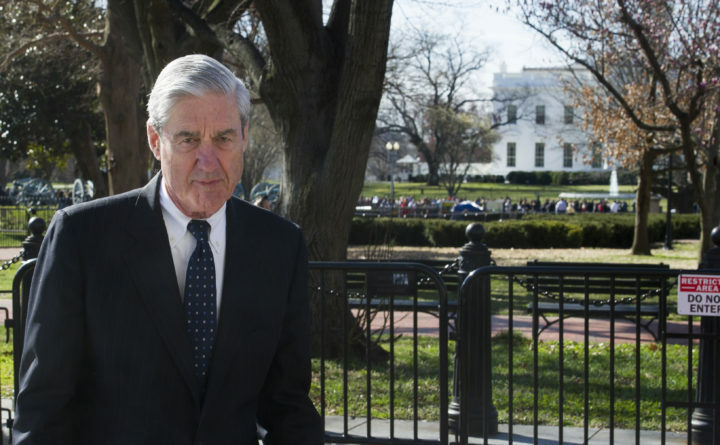 Special Counsel Robert Mueller walks past the White House, after attending St. John's Episcopal Church for morning services, in Washington, March 24, 2019. Trump unleashed a series of tweets Monday — including two just minutes after the Justice Department’s announcement — focusing on the favorable toplines in the previously released summary produced by Attorney General William Barr. “The Mueller Report, which was written by 18 Angry Democrats who also happen to be Trump Haters (and Clinton Supporters), should have focused on the people who SPIED on my 2016 Campaign, and others who fabricated the whole Russia Hoax. That is, never forget, the crime,” Trump tweeted.